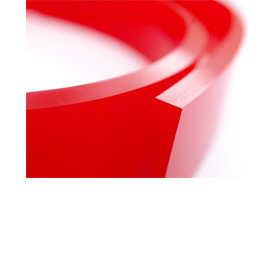 Watts have been manufacturing the Watts Squeegee Blade for over 35 years. Regarded as one of the World’s leading developers and manufacturers, Watts offers possibly the most comprehensive range of Squeegee Blades available to the Screen Printing industry. The edges of Watts Blades are regarded amongst the best in the industry, using CNC Cutting Technology for a precise Linear Cut. Watts Squeegees are currently sold into over 75 countries worldwide. Please contact us for your local distributor or to enquire about becoming a distributor. We work closely with suppliers to specifically formulate Polyurethane Materials to enable the highest performance in certain applications. We will be exhibiting at the following shows, please feel free to stop by our stand to see one of our representatives. To view stand information and locations, please check our news feed at the top of the page. For further information on the shows, please click the relevant icon to go to the exhibitions website. We look forward to seeing you. We have just launched a new website combining both our floor squeegees and screen printing squeegees. This new website will be taking over all of our Watts Squeegee information (including this current website). We will be phasing this website out over the upcoming months, so please amend any bookmatkrs you may have.